Hey there, traveler! 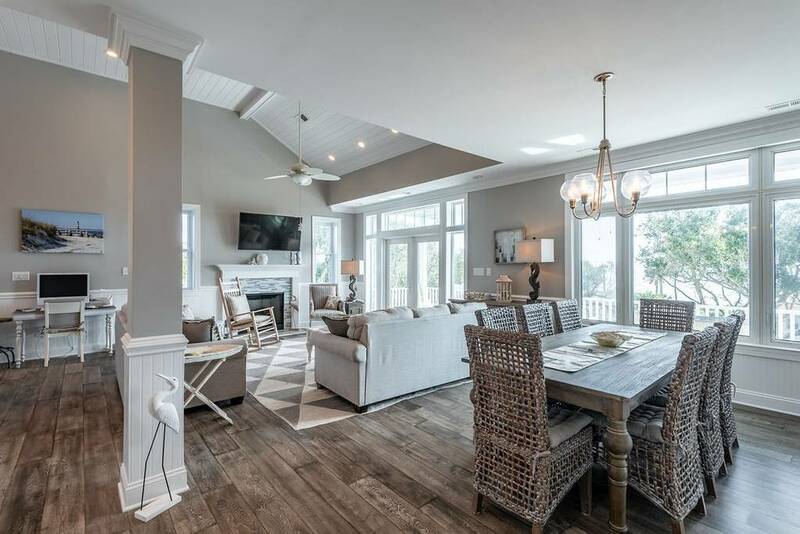 If you’re looking for Folly Beach Airbnbs, we’ve got your back (here at The Local Vibe we always have your back when it comes to Airbnb and vacation rental recommendations). 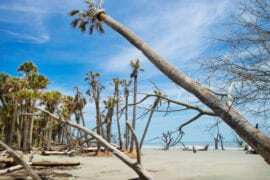 This little city can be found on Folly Island near Charleston in South Carolina, known by the locals as “the edge of America”, it is a joy to behold. Whether you’re in the area for one of its many destination weddings, because you’re a keen surfer (we recommend checking out the surf cams on Kure Beach, Carolina Beach, Southport and Folly Beach North to see what you’re in for) or a foodie with a penchant for seafood (go to the Oyster House, tell them we sent you! 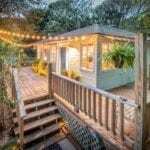 ), we’ve got an Airbnb in Folly Beach for you. Check out some of our favourites below! 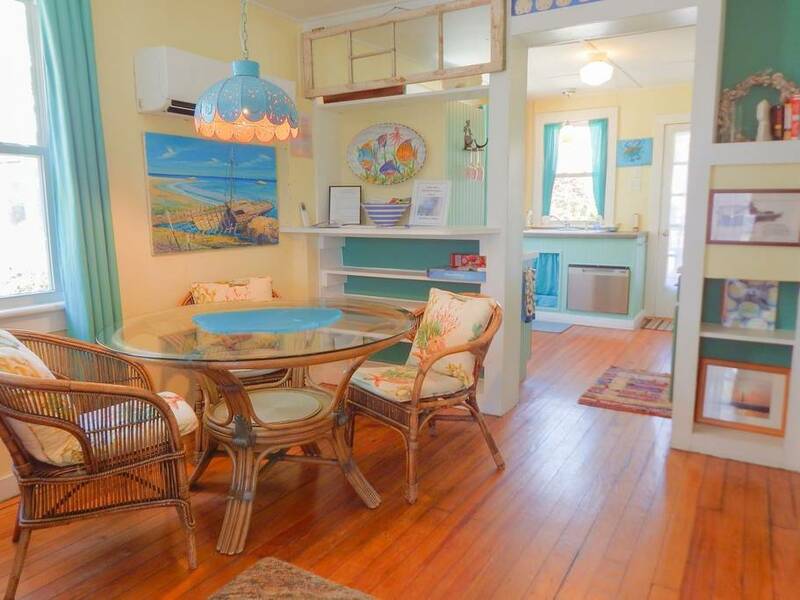 With the beach so close, you’ll never want to leave this Folly Beach home for $650/night. Because of the main level’s open floor plan, you can cook a meal in the gourmet kitchen while keeping up a conversation with those relaxing in the living room! 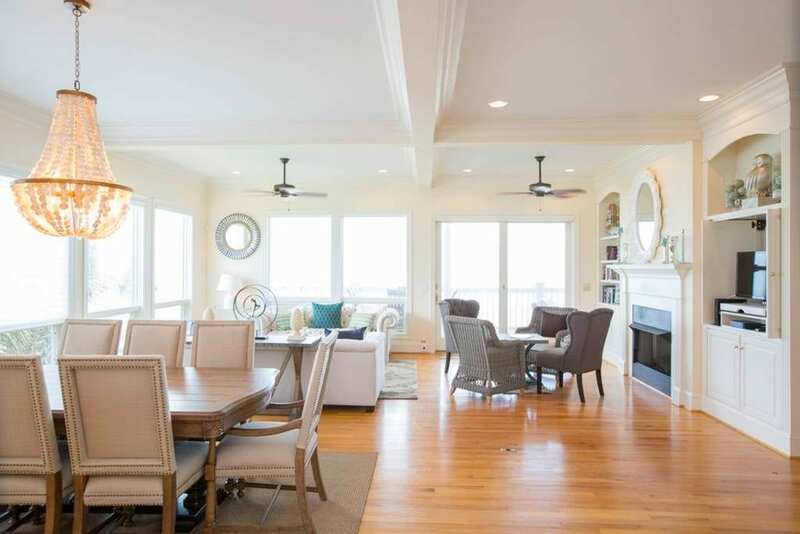 On top of that, open up the doors right to the deck and let the sea breeze swirl around the high-vaulted ceilings. 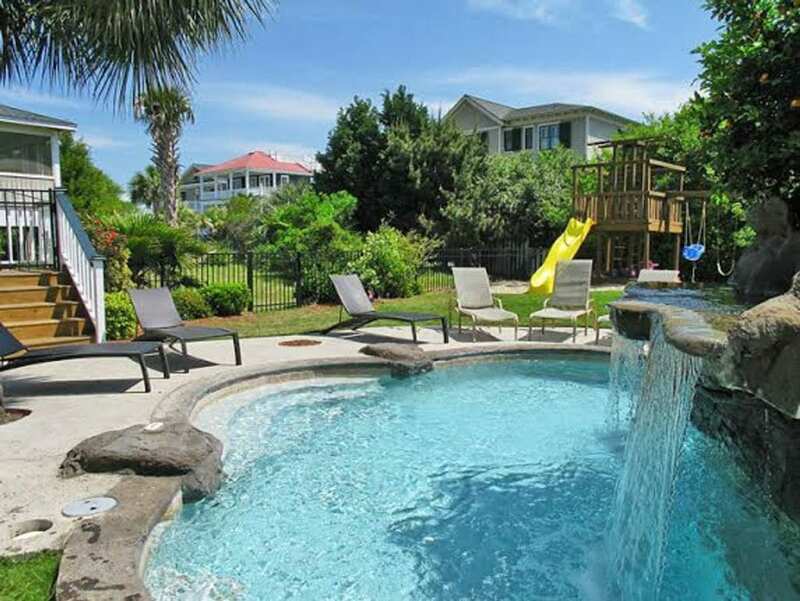 The best Folly Beach vacation rentals are ones the whole family can enjoy! 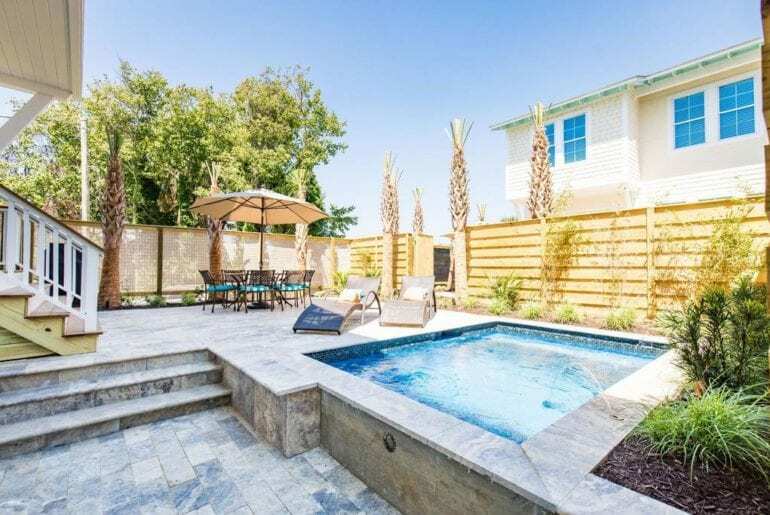 Because of the huge backyard with a private pool, spa, and playset, both kids and adults will let loose at this Isle of Palms beach house. On top of that, for $400/night, you’re only three rows away from the beach and just a quick drive away from some amazing restaurants and shops! Chic and sunny, Gypsy Tide has a enough flare to go around! For $828/night, you’ll have direct beach access and expansive ocean views around every corner. Take a break from the sun to sit and swing on the porch overlooking the beach. Then go on inside to make dinner in the gourmet kitchen. Unique lighting fixtures and warm, colorful decor really enhance your beach experience. 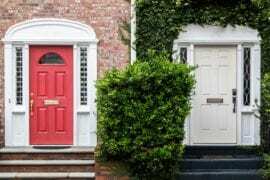 Finding a large enough rental to fit everyone in your extended family on one listing doesn’t have to be difficult! How? 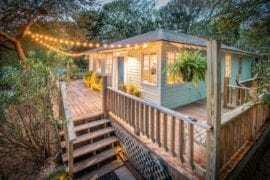 This Airbnb listing has not one, not two, but THREE colorful cottages that share a large yard for $908/night. Just a two minute walk to the beach and a ten minute walk to Center Street, the family can venture together all over the island, or stay in for a backyard barbeque! Never let the summer end at the Washout! For $575/night, stay at this vivid, modernized beach shack that is sure to dazzle your feet right into the sand. Located right across the street from the beach, and conveniently close to downtown, you’ll have access to all the best parts of Folly Beach. But don’t forget to enjoy your own personal, outdoor lounge featuring a private bar! Open the wide French doors from the living room and the beach is right there! 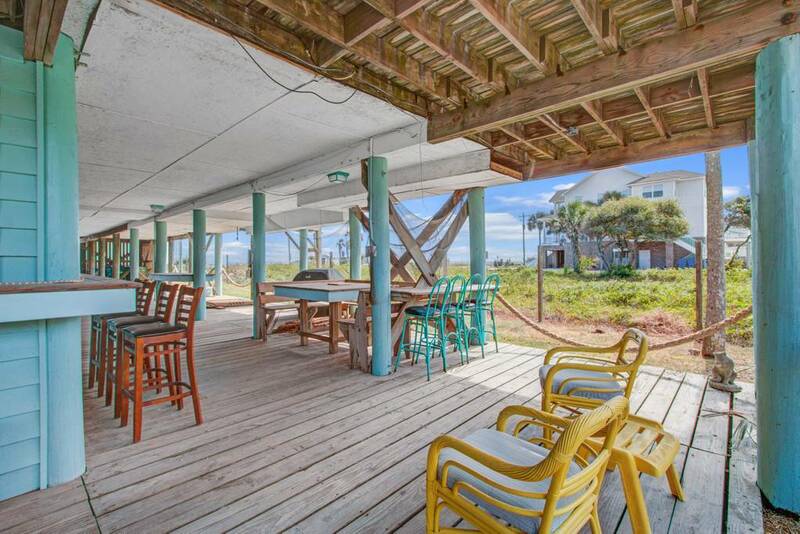 You can make this luxurious oceanfront home yours for $878/night. 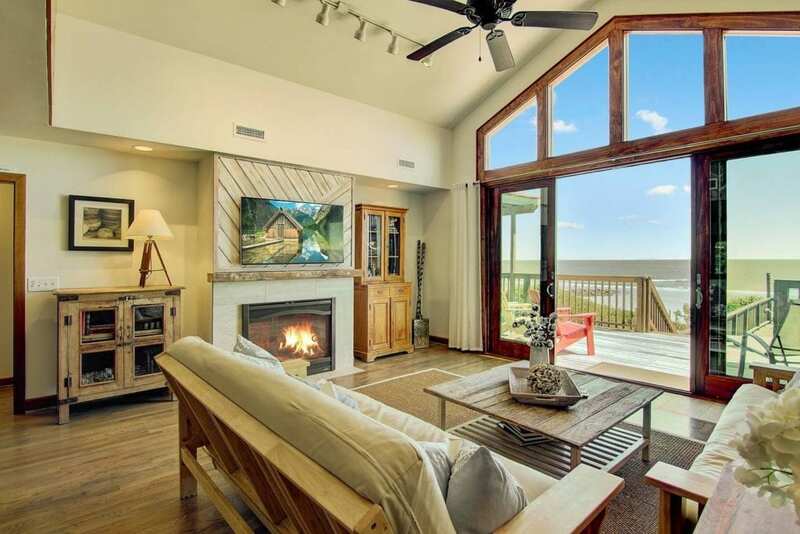 This recently remodelled Folly Beach Airbnb boasts a huge floor to ceiling window, bringing the natural beauty of the ocean inside the living room. On top of that, take a break from the sun and get under the fan in this home’s screened-in front porch. 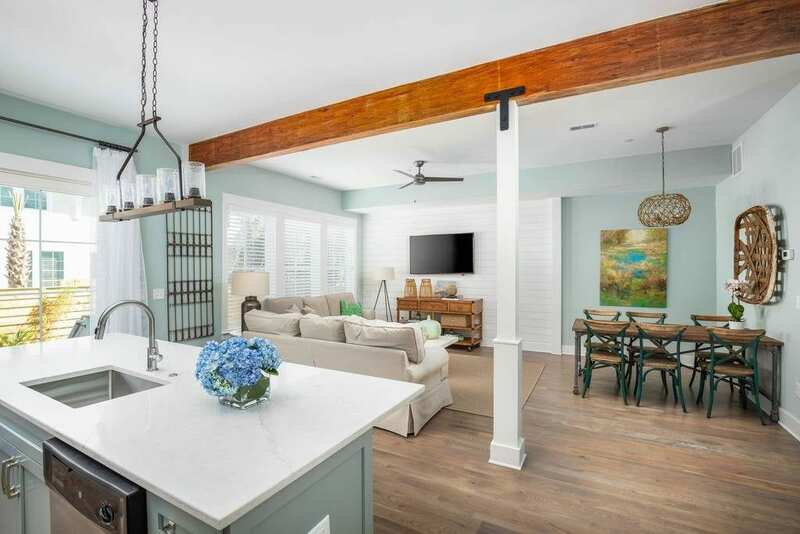 Are you looking for the classic Folly Beach shack vibe without having to compromise on modern day amenities? Then Slightly Off Center is the perfect house for you! This eight bedroom home can comfortably sleep over sixteen people in its bright and sunny walls. 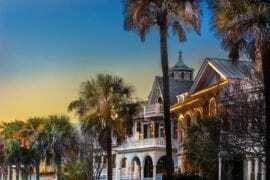 So it’s perfect for the largest of parties for $936/night. And even though it’s just a quick walk to the beach, you may never want to leave the poolside on this gorgeous, private patio!